"A quiet and clean hotel." Have a question for Fulmar Hotel Danang? "Good location, the room was very clean!" "Location is in center town, the room is clean and the staff nice"
"My room was very clean (cleaned every day) and offered all kinds of amenities (shampoo, a kettle, a fridge, tootbrushes, a fan, air-con, ." 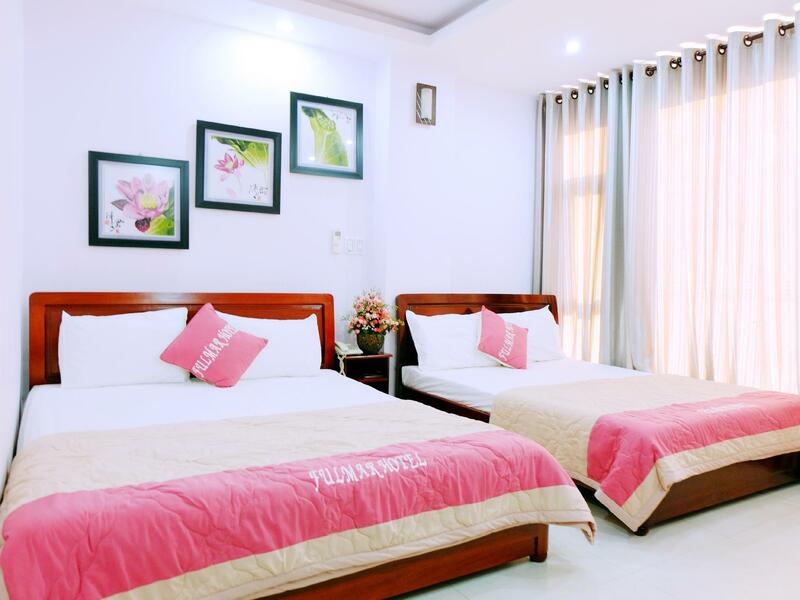 "The hotel locate in town center, staff is nice"
For travelers who want to take in the sights and sounds of Da Nang, Fulmar Hotel Danang is the perfect choice. The city center is merely 0.05 Km away and the airport can be reached within 8 minutes. A well-kempt environment and its proximity to Paul Bespoke Tailoring, Indochina Riverside Towers, Han Market give to this hotel a special charm. Fulmar Hotel Danang offers impeccable service and all the essential amenities to invigorate travelers. A selection of top-class facilities such as 24-hour room service, free Wi-Fi in all rooms, Wi-Fi in public areas, valet parking, car park can be enjoyed at the hotel. 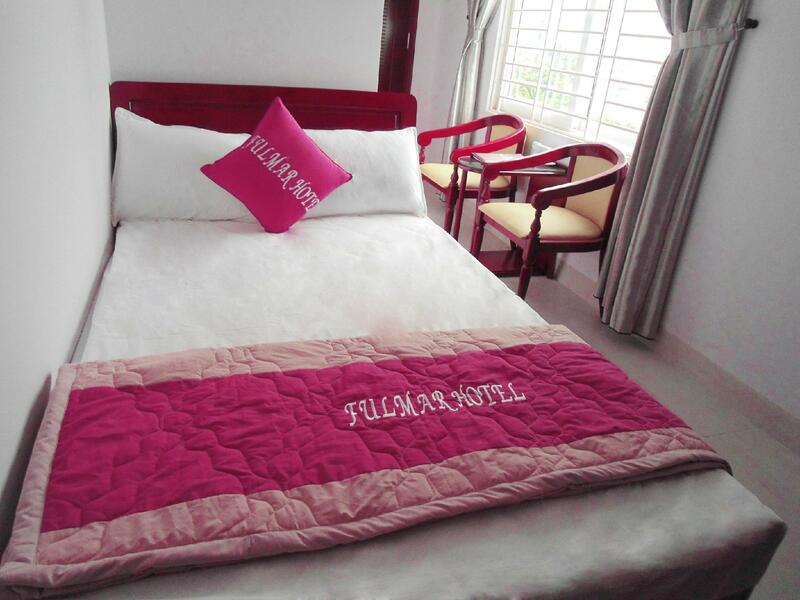 The ambiance of Fulmar Hotel Danang is reflected in every guestroom. television LCD/plasma screen, internet access – wireless, internet access – wireless (complimentary), non smoking rooms, air conditioning are just some of the facilities that can be found throughout the property. The hotel's recreational facilities, which include garden are designed for escape and relaxation. Enjoy unparalleled services and a truly prestigious address at the Fulmar Hotel Danang. "Yet, the hotel was very quiet." The place is cheap, but the aircon didn't work in the first room I was given and there was no hot water in the next room. Also the fridge was broken, and they put two bottles of water in the room as is standard in Asia and there was no price list but they charged me for them upon checkout. Possibly theft by the receptionist who was presumably too stupid and short sighted to realise that doing so will get bad reviews and cost the hotel business and him his job. Booked a cheap single room to use while waiting to catch a late train. It was fine and served its purpose. Good value for money. Spacious room, clean, bright, natural lighting and ventilation, has elevator. I felt very safe in the room as they have good locks on the door which will give an alarm if someone tries to open it from the outside. Being a solo traveler, this is important to me. Staffs are friendly. The restaurant around the corner was very good, I had a good meal in less than 2USD. Walking distance to the Dragon Bridge. I think this place has been a bit underrated. I stayed in a single room for one night and I was quite impressed with the facilities. Everything seemed newly remodeled and had a fresh scent. The room smelled like clean laundry when I walked in and the bed was super comfortable. Yes, it was a bit cozy, but not claustrophobic--plenty of space for one person. The staff were helpful even if they weren't outgoing. One strange thing that happened was when they helped me hire a xe om (motorbike taxi) to the bus station. The driver kept asking if I wanted to go to Hue by motorbike and I kept saying no, I want to go by bus. When we got near the station, he flagged down a bus that has already left. Once I sat down, the conductor tried to charge me 200,000 VND--about four times what it should cost. I argued and got off the bus. I actually used to live in Vietnam and know a bit of Vietnamese and he was still trying to charge me too much. The xe om driver was still outside the bus, which I thought was strange, and I figured maybe he had a part in trying to scam me--why else would he wait around unless he knew the driver was going to try to overcharge me? He offered to take me to the bus station, but I didn't trust him and walked there instead. Anyway, the hotel probably had nothing to do with any of this, but I wouldn't recommend having them hire a xe om for you just in case. 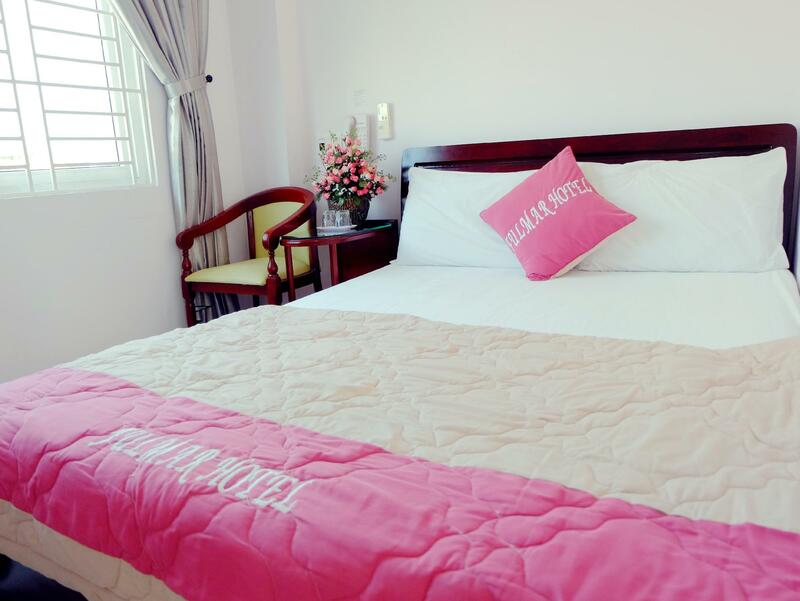 The hotel is located very conveniently in the centre of Da Nang, so that all places you might want to visit are easy to reach. Yet, the hotel was very quiet. My room was very clean (cleaned every day) and offered all kinds of amenities (shampoo, a kettle, a fridge, tootbrushes, a fan, air-con, ...). The staff was very friendly, and answered all my requests immediately (there was only air-con when I arrived, and because I don't like air-con, they brought me a fan; they also provided me with a kettle, rented me a good quality motorbike at a cheap price, ...). 100% recommended! The location is ok. walking distance to han market (nearest), Big C Market and Con Market (a bit far but stil reachable). The room's space is ok for us, as it is not as tiny as some commented there. The only thing is, u might need to stock up ur mineral water as it's not provided by the hotel at all, and oh yes... u need to bring ur own adapter as the hotel dont have spare to borrow u and surrounding shops didnt sell it. We were trying to find a hotel with affordable price on the firework festival in Da Nang. This one was one of the cheapest at that time, and quite close to Han River bridge. After arrival, we found it very disappointing. Our room was on the 7th floor, and the elevator could only drop us on the 6th floor, which means we had to use the stairs. The room was too small, though with acceptable view. Water was like droppings from the shower. The staff there were quiet and passive; we rarely saw them smile. We really doubt that we will come back anytime in the future. The hotel is in the city center where you can easily walk to Han market or the Han river bank. Room is small and has 1 window. But the window is next to the stairs so you can hardly open the curtain if you need privacy. Clean bed and wc. The staffs are ok. The night shift guard is really gentile and nice! Good location, basically in the center of the city. The room was very clean. The staff is nice and speaks good English. There are plenty of restaurants, bars and coffee shops around. The river is at your door step for a nice walk. Wi-fi was good. My room was small but there was all I needed. The only reason I didn't stay longer was the mattress: too hard for me. The stay was great, clean hotel rooms with lots of amenities ready without request. The receptionist was very Nice and helpful. Nice location from Han a River and there are nice food restaurants surrounding! The staff were excellent in accomodating my requests from early check in to procuring for me a dog leash the last minute. In terms of location, it was perfect because it was only 5 minutes away from the school I went to and also 5 minutes away from the river. Although the space tended to be small, it had all the basics you would expect from a hotel. Nice hotel, stuffs are very helpful especially with the staircase in front of the hotel :-) We stayed 3 days at the hotels and we had good experienced. The room was nice clean. We rent a motorbike from the hotel and ride to Hoi An it was an awesome ride. The room was basic but clean and comfortable. The staff were helpful and helped us to contact the easy riders for a tour. The location is a couple of streets back from the river front with lots of restaurants and street food in the vicinity. Adequate for our stay and good value. good for one night to sleep. 12 pm checkout is cool.